I’m very pleased to say that my adult historical novel Black Wings, which comes out in early October with the Greystones Press in the UK, is now available for pre-order from several online book retailers, including Booktopia, Book Depository, and on Amazon both in paperback and e-book formats (Australia, UK, US). 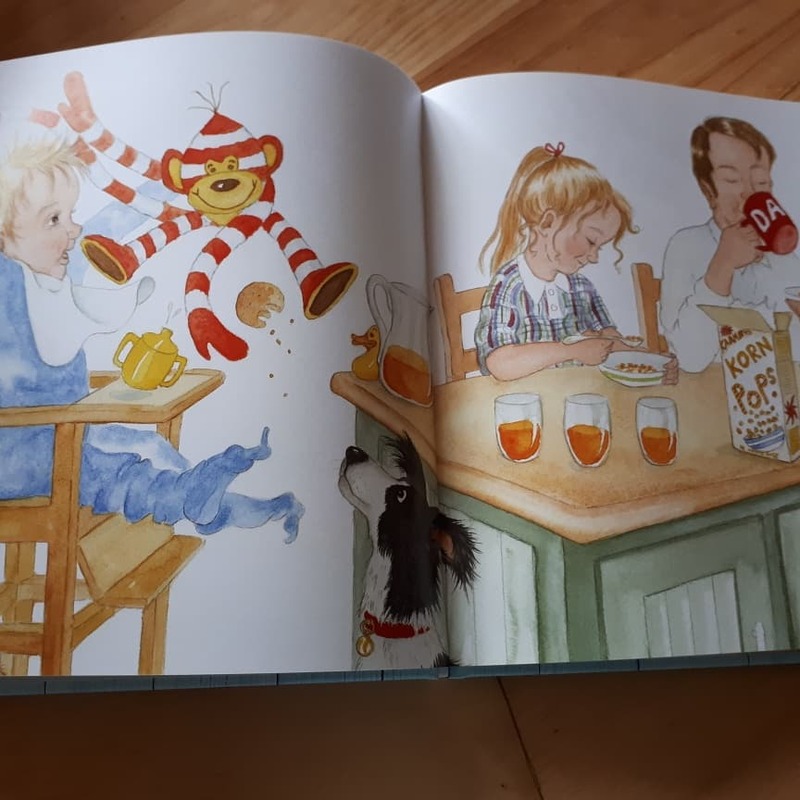 I will be in the UK when it comes out–can’t wait to celebrate it in person with my publishers Mary Hoffman and Stephen Barber of The Greystones Press, and fellow author Gill Vickery whose novel Tell Me No Truths comes out at the same time with The Greystones Press! 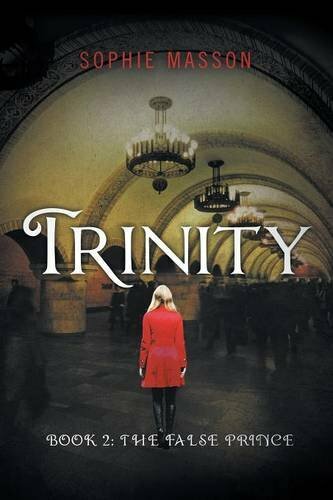 Today, I am posting something different: an enigmatic short story which appears in my novel, Trinity: The False Prince(Pan Macmillan, 2015). The Koldun’s Daughter is a story-within-a-story, supposedly written by ‘A.I.Denisov’ an aspiring writer who had been killed many years before, and whose death is one of the mysteries investigated by my character, ex-policeman Maxim. I wrote it like a fairytale, against what appears to be a timeless background but which in fact subtly gestures to the very early years of the Bolshevik Revolution. It functions in my novel as both a real clue and a red herring, but it also works quite well as a story in its own right, so I thought readers might enjoy it as is! There was once a young woman named Nadia who lived alone in a small cottage in a deep forest. The forest had been her home for as long as she could remember, though she had not been born there. Nadia’s mother had brought her there when she was just a baby, for safety. Even though the girl had never seen her father or known his name, she always felt close to him. Her mother had brought with her from that other place, far away, a small leather bag, finely tooled. The leather bag with its precious relics was kept in a metal box, buried near an old rose bush that grew at the cottage door, for the koldun had loved roses. In that special spot were also placed other things, such as birds’ eggs, and feathers, and the bones of certain animals, for extra protection. Nadia would sit there often, by the rose bush, and the spirit of her father, the great koldun, was with her then, by her side. The koldun’s greatest gifts had been in healing and prophecy, and the girl’s gifts were close to that. She could heal a sore just by touching it, and her skills at bone-setting were second to none, as she showed by her work on injured birds and animals of the forest. But despite this she was not really a healer, and her path did not lie in prophecy either, though she sometimes caught flashes of things happening in the wide world beyond, things she could not really understand, for she had only ever lived in the forest. But her mother knew what it meant, and it made her believe even more that they must never leave the forest, for terrible things were happening in the world, and rivers of blood swept through the land. The koldun had predicted it all, she told Nadia, and it was all coming to pass, just as he’d said. Nadia only saw those flashes because of her own special gift. Mostly, she heard those whose tongues were silent; she saw those whose presences were fleeting. In short, she saw and heard the dead. And so she never felt lonely, in that quiet place. It was not only her father whose presence she knew, but other people, who had once lived in that cottage, and in the great forest beyond. But Nadia did not just know human phantoms; she could also sense the long-gone animal ghosts of the forest, and the animals who lived there now sensed that too, so she could walk unmolested among wolves and bears as easily as among deer and rabbits. Though her mother often spoke of the koldun, she never spoke of her own past, at least not the past before she had met Nadia’s father. ‘My true life began that day,’ she said. 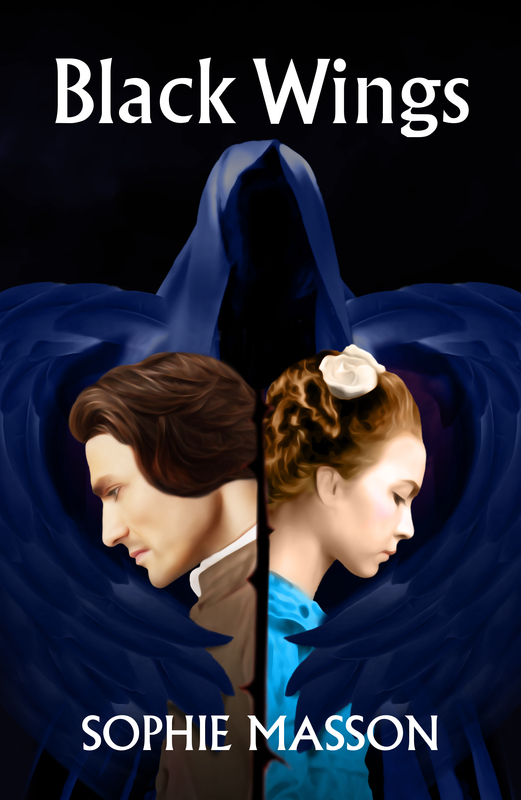 She had fallen in love and left her parents, her prospects, everything to follow the koldun. But their joy had not lasted long, for only a few short weeks after, he was dead. And Nadia’s mother, carrying Nadia in her belly, had fled far from her old home and come to the forest, for she knew that otherwise the koldun’s enemies would hunt them down too. She had come on the cottage, not long empty, and in that place had made a cozy home for herself and her child, trapping small animals, growing vegetables, gathering wood, cooking good food and teaching her daughter many beautiful songs, for music was Nadia’s mother’s special gift. And there they had stayed for sixteen long years. But then one morning, not long before Nadia’s sixteenth birthday, her mother did not wake up. Her heart had suddenly given out in the night and she had gone to rejoin her beloved koldun. Nadia was now all alone. She buried her mother close to the rose bush and tried to live as before. It was what her mother wanted, she knew that, because she could see and hear her mother now in the ghost-world, just as with the others. And for a time she managed it. She was a strong and clever girl, and a good hunter. She knew all the ways of the forest and to her it was like a larder might be to a city girl. And she still had the company of her ghosts. But after a time, strange dreams began to come to her. Dreams filled with new things, new people, new places. And in many of them, the same two figures appeared. Two young men. One, a soldier called Philip. The other, a painter named Yannik. These names were strange to Nadia, and she did not know where they had come from, she only knew the names were on her lips when she awoke. Both young men were handsome, each in his own way – Philip dark and delicate of feature, Yannik blond and strong of face. In each dream, Nadia’s name was called by one or other of them, but while Philip called to her in a voice soft as sorrow, Yannik’s voice was a summons like the ringing of a bell. Presently Nadia began to feel that these men were not just in her dreams but were real people, somewhere. It was not just in her own mind she thought this; her father the great koldun told her so. She who heard the voices of the dead was now hearing also the voices of her future, his spirit whispered to her, and she must answer those voices before it was too late. So the day of her seventeenth birthday, she made ready to leave the place that had been her home for as long as she could remember. She packed food and clothes and her old hunting rifle. She dug under the rose bush and took out the box. Gently removing the leather bag containing the precious relics, she wrapped it in soft cloth and placed it in her bodice, next to her heart. Around her neck she slipped the only thing her mother had kept from her old life: a small enamel locket, with a miniature painting of a house in its heart. And so Nadia’s mother and father would stay close and travel with her, wherever she went. She would never be alone in the big world beyond. Before she left, she said goodbye to all the ghosts of the forest, and blessed their memory. She did not know if she would be back. She did not know what the future might hold. That was not her particular gift. She only knew that she must go on this path. Leaving the cottage behind her, she walked and walked. After two days, she came to another lonely cottage and there met an old hunter who lived there with only his equally old dog for company. The hunter gave her some more food and told her that she should not try and leave the forest, for he had heard that many bad things were going on in the world outside. But Nadia did not trust the old hunter; there was a look in his eye that reminded her of an outcast lone wolf. Such creatures could be dangerous. So she bade a polite good day to him and kept on her way. She passed a few more cottages on her way, but none of them had people in them. At last, three days later, Nadia emerged from the forest into a large village. The people who lived there were not a friendly lot, and neither were the ghosts who clustered around the living like sticky shadows. At first, the villagers would not answer Nadia’s questions about where she might find a soldier called Philip or a painter named Yannik; indeed, they looked at her as though she was mad. They were pinched-faced people with eyes that seemed made of stone and mouths of cold steel. But Nadia was not put off – she could sense the fear in them, and the pain, and she knew that they did not really wish her harm. She had no idea about money because she had never seen any but she knew that people might expect something for their answers. So she thought they might like a song in exchange; but when she started singing, their eyes grew round as the full moon and the fear was in them worse than before. ‘You must not sing such songs, someone might hear you,’ one of them whispered, at last. Nadia did not know who ‘him’ was but from the expressions on their faces, she knew she probably did not want to find out. So she took to her heels and fled from that mad village and she did not stop till she had left it far, far behind. She did not understand what she had seen and heard and for once her ghosts were not of use to her. Even her father, the koldun, did not speak or make himself known in any way, and the leather bag which contained his precious relics felt cold against her breast, as did her mother’s medal locket. But as she went along the road that led far away from the village, a little cat came out of the bushes and joined her. At first, she did not take much notice of it, for it slipped like grey smoke in and out of the shadows behind her. But then she turned around and looked at it and the cat looked back. As their eyes met, she began to see them, all around them. Ghosts and more ghosts, more than she’d thought might exist in the whole world. They were streaming past her with their eyes vague and their mouths open, but they did not speak and neither did they look at her. It was as though she were the ghost, and not they. And she knew then that the cat had been sent to show her. Sent to her by the koldun, her father. The walls of this citadel were white, its domes were silver and in one tower there was a large bell. As Nadia and the cat came closer, the bell began to toll, and at once she thought she heard, in the sound of the bell, the voice of Yannik, the golden-haired man from her dream. ‘He is there, he and Philip,’ she told herself, and marched on. They came to a stone archway, alive with figures that loomed like golden shadows beneath a veil of new white paint. Another eye but Nadia’s would not have seen the figures beneath the white paint, but her gift was to see ghosts, even those of hidden art. Standing in the archway were two men that she knew at once were like the old hunter, only worse, much worse, for around them swirled black-clad ghosts in long robes, weeping tears of blood. These guards had big moustaches and ugly uniforms and large rifles in their hands. They did not look at all welcoming. But she would not turn back, not now. Her father’s relics against her breast were warm again, the cat was at her heels like grey smoke, and she knew she was in the right place. She had to find a way to get past the men at the gates. And she could not ask the ghosts to help. Not the ghosts of the people anyway, for the old world that they had lived in before they’d been killed was gone, and fear and confusion had trapped them in a place of endless mourning so they could neither hear nor see her. But the cat whispered in her mind that the animal ghosts were a different matter. They sensed her, as did the living ones, and it was them she called to distract the guards so she might slip through. So that is what she did, and in through the gates she went then, with the cat still at her heels, while the guards, their attention taken by the sudden howl of a wolf, seemingly close by, and the skittering of dozens of small feet, seemingly all around them, swung wildly here and there, trying to get a fix on the sudden invasion of unseen animals. Later, they would tell each other, fearfully, that they had heard and seen nothing, and would never speak of it to any other living soul. Nadia ran through the courtyard beyond the gate, heading for the most magnificent building she could see, with shining silver domes against the blue, blue sky. All around, she could see signs of devastation; barns with doors ripped open; great gouges in the earth; meadows strewn with bits of cloth and fragments of stone. Still she ran, till she came at last to what had once been a garden, now overgrown with weeds. In the midst of this wilderness was a man standing at an easel, and the sunlight glinted on his hair, which was golden as straw. ‘Yannik!’ called out Nadia, and the man turned and looked at her. His eyes were blue-grey, soft as mist. But before he could say anything, another man came walking across the garden. Though he was tall, and dressed like an officer, with a peaked cap, his features were delicate under jet-black hair, and Nadia knew him at once, too. ‘Philip!’ she cried, and he stopped, and looked at her with eyes as blue-green as the sea. Faintly, she heard her father’s ghost, saying in her heart, ‘It is as it should be, my daughter, and soon you will be with child. A great koldun, that child will become.’ But he did not say which man to choose, which would be the father. She looked for the cat, but it had vanished as suddenly as it had come. Back in August 2015, I embarked on a challenging and exciting journey: undertaking a PhD. My PhD is in the area of Creative Practice–that is, it contained both a creative part(in my case, a young adult novel) and an academic/analytical part(an exegesis). For those who are interested, the novel is called The Ghost Squad, and it’s a genre-crossing mix of thriller, detective fiction, ghost story, fantasy and philosophical exploration, while the exegesis is an examination of the very interesting sub-genre of young adult afterlife fiction(that is, fiction set in or about the afterlife–not religious narratives, but a sub-genre of speculative fiction). 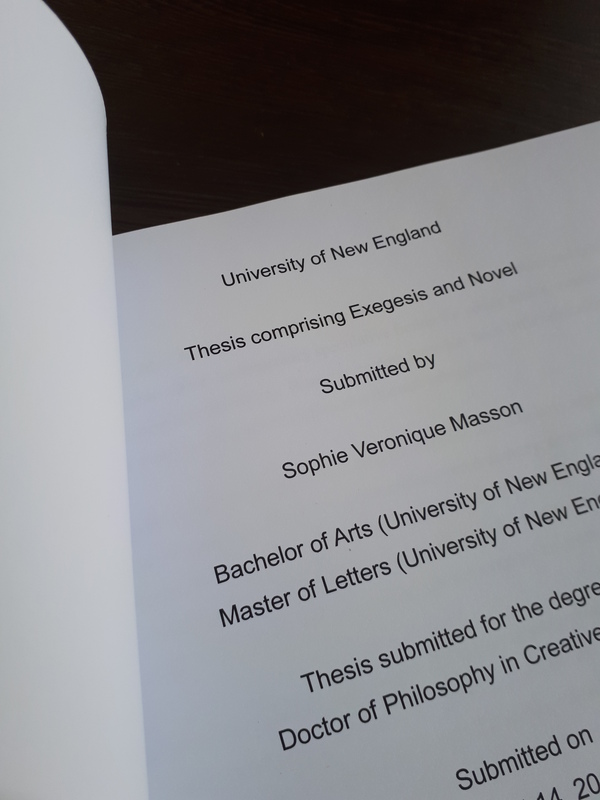 Three years of stimulating, hard-working, satisfying years of research, study and writing later, and I have come to that milestone day: the day I officially submit my thesis(which comprises the novel and the exegesis). It feels amazing. It feels odd. I am relieved I made it; yet also feel a little sad that it’s over. Even though of course there were one or two hiccups along the way, by and large it has been an absolutely charmed experience. I am immensely grateful to have had such fantastic support, guidance, encouragement, attention to detail and collegial warmth from my supervisors and others at the university generally; immensely grateful to the journal editors and conference organisers who saw value in the work I was doing; immensely grateful for the loving support and interest of my family, especially my husband David. And immensely grateful to have had that wonderful amount of time not only to really concentrate on my novel, a challenging novel I had wanted to write for a long time yet never had the sustained opportunity to do so, but also to discover a whole new area(at least new to me!) of young adult fiction which I have found so satisfying to explore. And the fact that no-one else had ever written about this area in a sustained and substantive way was another bonus, in that I could break new ground. It isn’t quite over yet, of course; the examiners still have to assess the thesis and give their verdict, which won’t happen for at least several more weeks yet. But three years down the track, at that important milestone, I can say that not only do I have no regrets of any kind, but I am amazed and delighted by my great good fortune in what has been an important and deeply satisfying journey. Pitch Independent a fantastic success! As one of the three co-ordinators for the New England Writers’ Centre’s big Pitch Independent program, I am happy to report that it was a brilliant success! The prep day two weeks ago went really well, with lots of people getting advice and practising their pitches in front of local publishing professionals. And last weekend, we hosted a fantastic lineup of some of Australia’s best small and independent book publishers and literary magazine editors, who participated in a lively and engaging symposium, heard lots of one-on-one pitches from writers in all genres as well as illustrators, and generally gave generously, and warmly, of their time, knowledge and expertise. Pitch Independent was a unique event–nothing like it, with its focus on bringing creators and small and independent press and literary magazines together–has ever, to or knowledge, been held in Australia before. And the response has been amazing, from all, publishers, editors, pitchers, and attendees alike. It was a massive amount of work, but I am so proud to have been involved in initiating an event that we think people will be speaking about for a long time, and which will have a significant impact. We intend to continue building on the fantastic momentum created by Pitch Independent–watch this space!